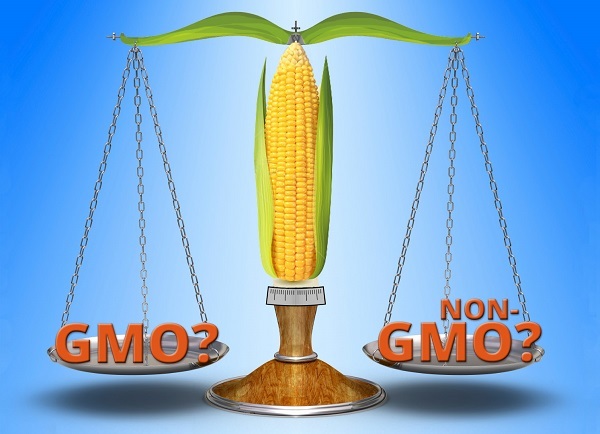 • GMO or GM-NO – How will the EU regulate new plant breeding technologies? Two of the greatest challenges of GMO campaigning are engaging the public in a subject that is ‘sciency’ and ‘techy’ and dealing with the long periods between ‘significant’ events when nothing much seems to be happening. Of course public engagement, even if the topic seems difficult to grasp, is vital; and although it may look sometimes as if nothing is happening, something is always happening – and sometimes the most important task of campaigners is to simply help the public stay aware. A good example of this is the way the EU is currently wrestling with how to regulate new GMO technologies. At the moment the European Commission is considering a list of seven new plant breeding technologies and trying to reach some conclusions about whether or not these can, indeed should, be classified as genetic engineering under existing laws. Campaigners and many scientists believe that these techniques absolutely are forms of genetic engineering, but biotech companies claim they are not GMOs, as defined by current laws, and should therefore be exempt from any regulations that might apply to older types of GMOs. Agri-food corporations are arguing, as noted in a 2011 report by the European Commission’s in-house scientific body, the Joint Research Centre that these new plant breeding technologies are “necessary to meet the challenges of global changes such as population growth and climate change”. “Biotechnology companies and plant breeders are particularly concerned about the legislative uncertainty of the GMO classification of new plant breeding techniques,” and are concerned that “regulatory costs for plants classified as GMOs are much higher than those for the registration of non-GMO plants, and public acceptance is lower”. It goes without saying that less regulation, and poor public engagement makes it easier for such products to become more widely adopted on farms and in food products, so biotech companies are lobbying hard to ensure that these new forms of genetic engineering are not subject to the same stringent regulation that older GMOs are. GMOs are a complex subject that throw up complex questions. Such questions can never be answered simply. The law, in particular, is a blunt instrument and reducing the debate to an ‘is-it-or-isn’t-it?’ legal opinion misses important aspects of this nuanced debate. So while lawyers from industry and civil society battle it out, what do we, as consumers, need to know about the new GMO plant breeding techniques? First of all – these techniques are not so new. Many of them have been in development for years and indeed the European Commission has been wrestling with the question of new plant breeding technologies, involving new gene editing techniques, since 2007 when national authorities asked for its opinion. Several committees and lengthy discussions later we are in sight of a ruling this year. It’s a techy mouthful of complex procedures for plant breeding – especially when most people are still having trouble getting their heads around just the two existing commercially available GMO traits: herbicide resisting and insecticide production (never mind the various processes by which these are created!). For an accessible review of these techniques we recommend you read the new downloadable report by EcoNExus: Genetic Engineering in Plants and the “New Breeding Techniques (NBTs)” – Inherent risks and the need to regulate). The European Food Safety Authority (EFSA) has, also issued two opinions on cisgenesis/intragenesis and Zinc Finger Nuclease 3, in terms of the risks they might pose and how they fit into existing regulations. Where does CRISPR fit in? Anyone interested in the GMO debate can hardly have missed the science journals, magazines and newspapers filled with stories of another new technique called CRISPR (clustered regularly interspaced short palindromic repeat system), which is thought be the biggest advance in gene editing in many decades. CRISPR along with other techniques such as TALENs (transcription activator-like effector nucleases) and MN (meganucleases), sit in the same family as Zinc Finger Nuclease Technology (ZFN). What fuels the hype around CRISPR is that it is faster and cheaper to employ. For example with ZFN an experiment could take months to years to complete; with CRISPR it can take only days. In terms of regulation the same considerations that lead to the regulation of ZFN as a GMO, should also apply to CRISPR and related techniques. As the EcoNexus report emphasises, it is important to be aware both in terms of legal interpretation and of risks – that some of these techniques may also be used in combination with each other or the same technique may be used several times over in order to achieve the intended effect. What this kind of multiple interference with the genome means is that plant breeders cannot guarantee the precision of the technique, nor are they able to predict with any certainty its safety in the environment or in the human body. That’s an important point and one that is excluded from the legal arguments, which are simply concerned with whether or not these techniques are genetic engineering under the current EU regulation, EU Directive 2001/18. The directive itself focuses on the process used to alter an organism’s genome, rather than traits of the end product. It covers plants and animals altered in a way which does not occur by natural mating or genetic recombination. Lawmakers in the EU are not keen on drafting new laws – especially on complex and dynamic issues such as GMOs. So the most urgent question before the Commission is where the new technologies fit in the existing scope of things. Beyond the legal questions, there are also scientific, economic and of course consumer issues, which don’t fall within the scope of the current discussion, to be considered. For instance the thrust of the biotech argument is that when plants do not contain foreign DNA, they do not fall within the scope of GMO legislation. But even if they don’t contain any GMO DNA, genetically engineered plants can contain other substances, such as foreign proteins and enzymes and other substances, which have arisen as a result of the genetic engineering process. unintended alterations to plant biochemical pathways arising from the changed or new function(s) of the altered or novel gene(s). These unintended changes could impact food, feed and environmental safety but unless these processes are fully regulated as genetic engineering, there would be no requirement for these to be detected and assessed. The economic arguments all centre on patents and ownership. The Joint Research Committee report notes that by 2011, there had been a total of 84 patents related to new breeding techniques in the EU and most of these were filed during the last decade. The majority of these applications came from the USA (65%), followed by EU-based applicants (26%). More importantly, a vast majority (70%), came from private companies. The 1998 Biotech Directive grants protection of intellectual property rights over biotechnological inventions, and clarifies which inventions are patentable or not, on ethical grounds. But policymakers in the European Parliament are traditionally cautious when it comes to patents over lifeforms. In 2013, for example, the European Parliament passed a biopiracy law, requiring industry to compensate indigenous people if it makes commercial use of their local knowledge, such as plant-based medicines. MEPs have likewise been fairly consistent in stressing the importance of the “precautionary principle” when applying novel techniques for food production. Consumers also have little taste for the idea that large corporations should own our seed and food supply. Campaigners are adamant, however, that the new plant breeding techniques are just another attempt at selling GMOs to Europeans through a loophole or ‘back door’ approach. Some, but by no means all, scientists disagree, arguing that the new gene editing techniques offer a more efficient way to produce a variety of desirable traits in crops and animals. Ahead of the EC’s opinion a coalition of European civil society organisations have published a dossier on the legal status of new methods for the production of genetically engineered plants which argues that the new technologies fulfil all criteria for EU regulation under EU Directive 2001/18. This is because they are based on technical processes that are new and different from those that were regarded as “conventional breeding” at the time when the Directive was adopted. The new methods make use of short sequences of synthetic DNA (oligonucleotides) and so-called nucleases that can be used to introduce specific changes in DNA. They are often summarised as ‘genome editing’, ‘synthetic genetic engineering’ or ‘synbio’. According to Christoph Then of Testbiotech, one of the groups behind the report: “We are at a crossroads. The new methods known as genome editing have huge potential for radical changes of the genome. We do not have the experience to declare these products safe. The EcoNexus report cited above notes that each of the new techniques under consideration by the European Commission brings its own set of risks and uncertainties and highlights the lack of precision and predictability of these new techniques. Why should consumers be concerned? New gene editing and plant breeding techniques are being promoted as more precise and safer than old-style GM techniques, though there is no scientific proof that this is the case. Biotech lobbyists are pushing hard, and throwing a lot of money at ensuring the products of these new techniques exempted from Europe’s GMO regulations. 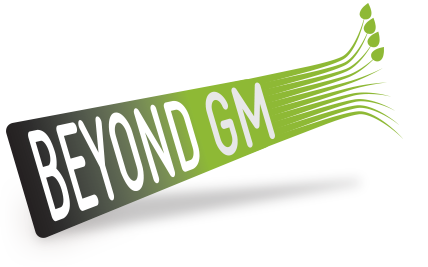 If they succeed, these GM products won’t carry a GM label and citizens and consumers will never know what they are growing in their fields, or feeding their families. The European Commission’s much anticipated legal interpretive note, on whether the various strands of genome editing should be governed by the EU Deliberate Release Directive 2001/18/EC, is due very soon. Elsewhere in the world the ‘is-it-isn’t-it?’ question is also being debated. In the US and Canadian authorities are dealing with crops made using genome editing on a case-by-case basis but, so far, they have not treated them as GMOs. Argentina has taken a similar approach, while it is reported that China is in the process of deciding how to regulate the technology, and some EU member states, including the UK, have made unofficial assessments and side with the technology not being treated as GM. Consumer distrust of safety, efficacy and the necessity for GMO crops has proved, over the years, to be well founded. New GM plant breeding technologies are no more precise, their results are no more predictable and there is still no provision for monitoring them once they are let out of the lab. Strong regulation is the only thing standing between us and potential harm to our environment and our health. We should not let our guard drop simply because the topic gets more complicated or because the discussion can become long-winded.